Nature is the best healer. This is a fact that many don’t want to accept and others have actually never tried. 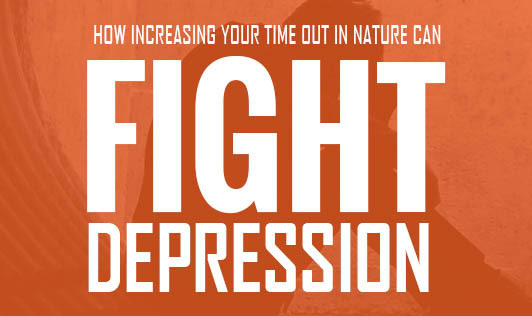 In fact, the most common cause of depression and other psychological ailments is the lack of spending time outdoors, in nature. So, let’s take a step closer to nature and find out how it can change our lives for better. Natural oxygen is a great refreshing tool: Oxygen is necessary for the functioning of brain cells. Staying close to nature allows you to take in as much oxygen as needed and enables you to feel rejuvenated. Aptly aerated surroundings promote eye health: The cornea in our eyes do not have blood supply of their own and hence require oxygen supplied directly from nature to stay functional. This is probably why you get a refreshing feeling the moment you enter a green and well-aerated location. Gardening makes you feel good: A feeling of connection with plants grows when you water them regularly. This habit contributes a lot to maintenance of low temperature in the surroundings, thus, helping you create an amicable atmosphere for yourself. Such change is definitely beneficial for boosting mental health. Natural foods instead of supplements: Fish, vitamin B12, and folic acid-rich foods are found to be beneficial in managing moods and temper. The power to beat any obstacle lies within you. Don’t let any external factors overwhelm you to the extent that they pull you down. Stay positive, stay close to nature and enjoy life!